Every 1st of October, we will start a fun tradition with our neighbors where we “BOO” them. In a nutshell, we place a treat bucket on their front porch, knock, and run. My kids love the element of being sneaky, and that no one really knows who dropped it (unless someone snitches), and it’s always fun to spread a little joy, right? I wanted to share this idea, in case others don’t know about it, and some cute printables and tags to attach to the gift as well. 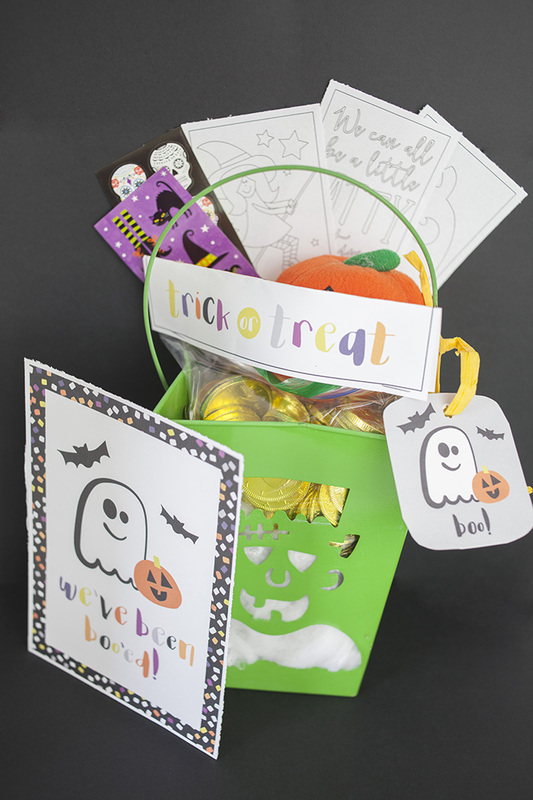 I found a cute bucket, and stuffed it with stickers, Halloween coloring bookmarks (found at Capturing-Joy.com in the Halloween section), and a ziplock bag full of treats with a treat topper over it. 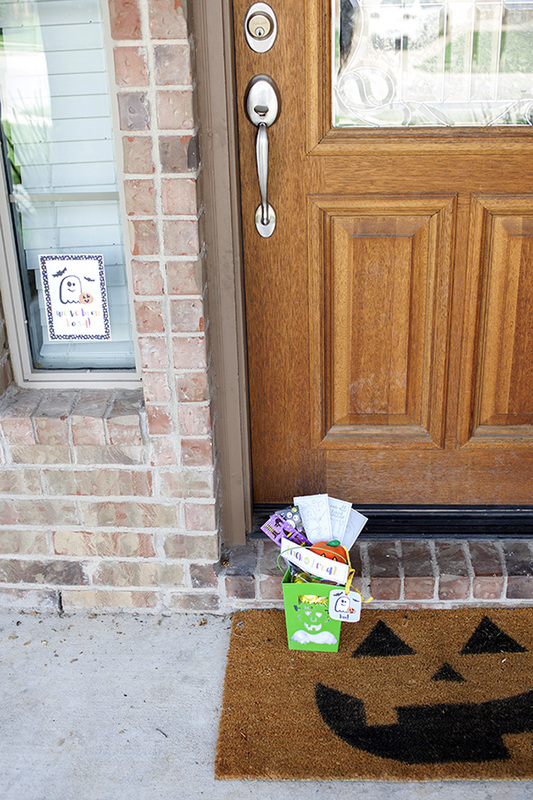 After you’ve done all the prep work, drop it off to a few friends on their porch, and RUN! The instructions say to put the sign in the window when “You’ve been Boo’ed” so you don’t get “Boo’ed” again by another neighbor. It’s fun to see the windows fill up as the month goes by! 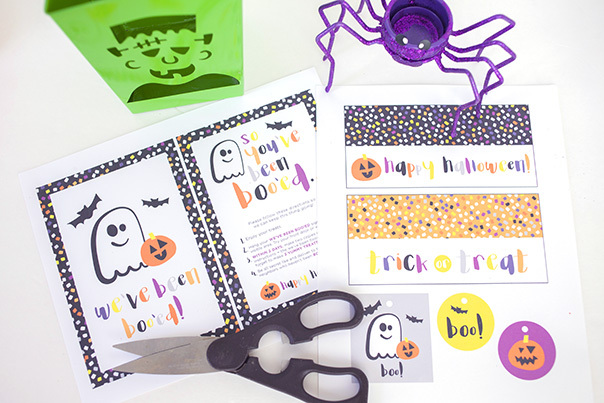 For more fun family Halloween ideas, head on over to Capturing-Joy.com and click on the Holiday/Halloween green tab at the top.